What does this second trailer tell us? First, film makers have gone to great lengths to make us believe (although this isn't necessarily true) that they wanted to retain as much as possible from Disney's original animated version (note the animated bits they included at various parts to remind us as much we liked the original; secondly, it tells us that it is different from the original. In the 1959 Disney version, Maleficent and Aurora never have any communication with each other; in the new film, they have all ready conversed quite a bit. These new details are what makes the film a film for our time (regardless of its quality). We have discussed in length, at the link provided just below, why this Maleficent (which means "evil") looks so different than the 1959 version. Her cheeks, for example, achieved with prosthetics, are sharp to accentuate that, at the slightest insult, Maleficent doesn't "turn the other cheek" and allow herself to be humbled, rather, she repays in kind, and a hundredfold at that. We will see Maleficent at least as a young girl, so several stages of her life, and her total development, rather like the evil queen (Charlize Theron) in Snow White and the Huntsman. We have all ready had significant discussion on the initial trailer, as well as images and Jolie's "look" as Maleficent; this is, however, our first look at the three fairy godmothers who bestow gifts upon Aurora and protect her (we will discuss this much more in-depth later). I am somewhat dismayed that the Prince (Brenton Thwaites) isn't more,.... masculine. He and Aurora (Elle Fanning) both leave a great deal to be desired, her not being very feminine, nor he very masculine (which were traits of the two in the original animated film); why am I harping on this detail? Because the left is trying to break-down distinguishes between male and female. I still don't know which direction this film will go and what Maleficent will symbolize, but I am mildly looking forward to it (by the way, there is still no second trailer for either Captain America: the Winter Soldier or X-Men: Days Of Future Past). 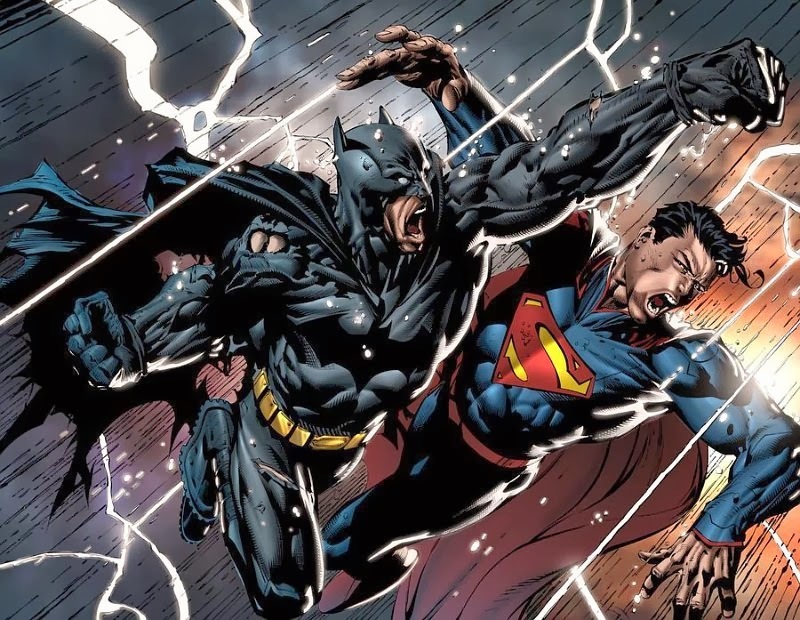 In other news, Man Of Steel 2 (also known as Batman vs Superman) was originally scheduled to hit theaters next summer, but for unknown reasons has been moved to summer 2016; film makers have said they want that time to realize their full vision for the film, but it might also have to do with a six-week filming delay resulting from Ben Affleck hurting his leg. The film getting the summer 2015 release spot is Peter Pan, which has both Javier Bardem and Hugh Jackman in talks to join the origin story of how Captain Hook became Captain Hook. Why these "origin stories" with famous villains? Because it's actually a great way of understanding the evil in our world without actually demonizing anyone in our hyper-politically correct world. 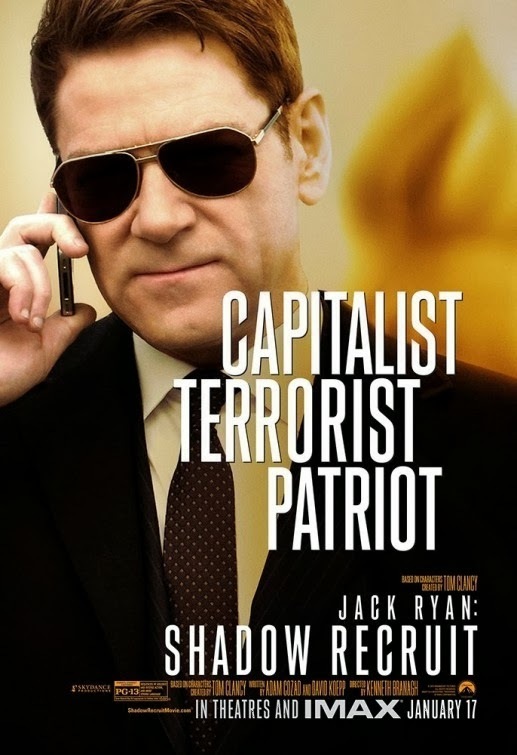 I saw Jack Ryan Shadow Recruit last night and it was very good. Chris Pine has a great way of handling action sequences, they aren't too smooth, but just rugged enough that you can tell it's demanding, and what I didn't realize is, not only is the great Kenneth Branaugh starring as the villain, but directing the film. Kevin Costner is very strong and likeable in the film, so if you need any reason to go and see it, these should offer you plenty, in addition to it being solidly patriotic. So, what is this Penny Dreadful about? We have stolen quite a bit of the Victorian art all ready (like the plethora of Sherlock Holmes series running about, vampires fill the television weekly agenda and I, Frankenstein is coming out soon and The Woman In Black sequel is due out next month) but history films, as I have said, are never ever about history: they are always about us here and now, so this isn't about the Victorians--how boring, who cares about them?--rather, the Victorians are a vehicle for our own selves. Eva Green plays the heroine, although I am not quite sure what that means. Here is an easy question to ask: why are we so much more focused on the devil, and evil, than God and good? I guess, for the vast droves of people--especially those in Hollywood making films--evil and bad are easier to see in the world around us, hence, it's easier to believe in it; the devil, so to speak, comes after us, but we have to make the effort to go to God, and most people just aren't interested in doing that, so they are left with the devil's courtship. Out this weekend is Devil's Due, which I am going to try and see tonight after getting a brief posting for Jack Ryan Shadow Recruit up in a few hours. UPDATE: ANOTHER Maleficent Trailer All Ready!